Legendary singer and former teen idol Pat Boone, known for his durable popularity and widespread reach as a composer, actor, writer, television personality, motivational speaker and spokesman, is about to embark on a once-in-a-lifetime journey, the Pat Boone Israel Tour 2018. Renowned for six decades in show business (including 38 Top 40 hits), Pat's 51-plus years covers a myriad of genres from pop to country to rock n' roll and gospel. While always trying to hit new heights, Boone, who has hosted several television variety shows augmenting his performing career, is leading a tour through Israel accompanied by over 250 people May 9-18 during the monumental anniversary of its statehood. "It's a sizable endeavor coinciding with the 70th anniversary of Israel's modern statehood May 14," said Boone, who is a friend of Prime Minister Benjamin Netanyahu. "I am joining forces with Rabbi Yechiel Eckstein to lead 200-300 special travelers to the most significant places in Israel and memories which will last a lifetime...and longer. "He [Netanyahu] calls me 'Speedy,'" said Boone, referring to his 1962 hit, "Speedy Gonzalez," that debuted when Netanyahu was studying in the U.S. Boone wrote the lyrics to "Exodus," referred to as Israel's second national anthem. "I wrote them on the back of a Christmas card," he said, adding it is displayed in a museum. Integral to the Tour is the all star tv special which will tape live in Caesarea, Israel on May 13th at its 4000-seat outdoor ampitheater. This special show will feature top names in music led by the iconic singer along with David Broza, the Jerusalem Symphony Orchestra, America's leading lady of Gospel music, Ce Ce Winans and Israel's own Shiri Maimon, the critically lauded star of Eurovision 2005 and a top R&B singer, who will be staring in the American production of Chicago this fall, Additional names are being added later this month in anticipation of an early summer broadcast. In addition to the musical component of the evening, the audience will be treated to a presentation of the seven decades of Israel's history by iconic presenters with a special focus on Israel's numerous contributions to the world. The tribute will also include rare archival footage that will allow the audience to experience these modern day achievements and miracles. Legendary director Jeff Margolis, who produced Israel's 50th Anniversary Gala Television show and is credited with dozens of Oscars, Emmys and Golden Globe award shows, will direct the live TV event. Jon Macks, a leading Hollywood writer with unparalleled credits and broadcasts (Jay Leno, the Academy Awards) will be lending his writing talent to the event. "It's a look back both visually and audibly over my many years in the business and more importantly, the historic legacy of the only land that holds so much importance for the majority of us on earth," he says. 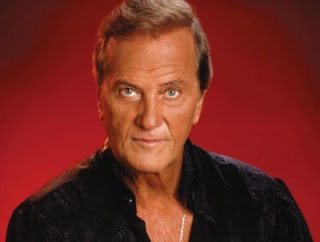 "I've been to the Holyland over a dozen times and the timing couldn't be better in a world where peace, brotherly love, respect and reaching out couldn't be more important," says Pat Boone. "We are all excited."